Sara Crewe is a very rich little girl. She first comes to England when she is seven, and her father takes her to Miss Minchin’s school in London. Then he goes back to his work in India. Sara is very sad at first, but she soon makes friends at school. But on her eleventh birthday, something terrible happens, and now Sara has no family, no home, and not a penny in the world . 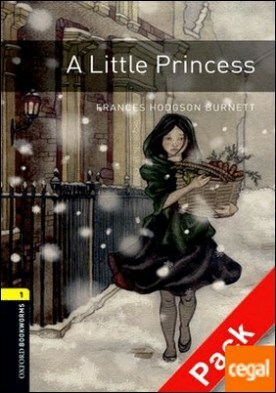 . .
FRANCES HODGSON BURNETT (Manchester, 1849-Nueva York, 1924), escritora americana de origen inglés, publicó numerosos cuentos y relatos en revistas como Scribner’s Monthly o Harper’s Bazaar. En 1886 apareció su primer libro juvenil, El pequeño Lord, que en su época vendió más de un millón de ejemplares. Sin embargo, su obra más conocida es El jardín secreto (1911).